Gain ultimate control of your business. Syncro PSA will make you feel like you have eight arms. Work is easier when key information – from Customers to Ticketing, Estimates and Invoices, Billing, Marketing, and Reporting – are integrated and in sync. Ticketing? Check. 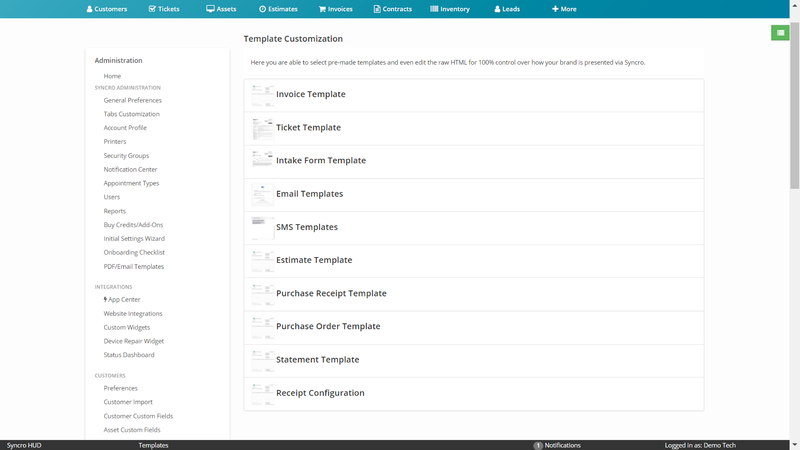 Integrated Estimates, Invoicing, and Billing? Check. Marketing and Reporting? Check. If an MSP needs it, Syncro’s PSA has it. 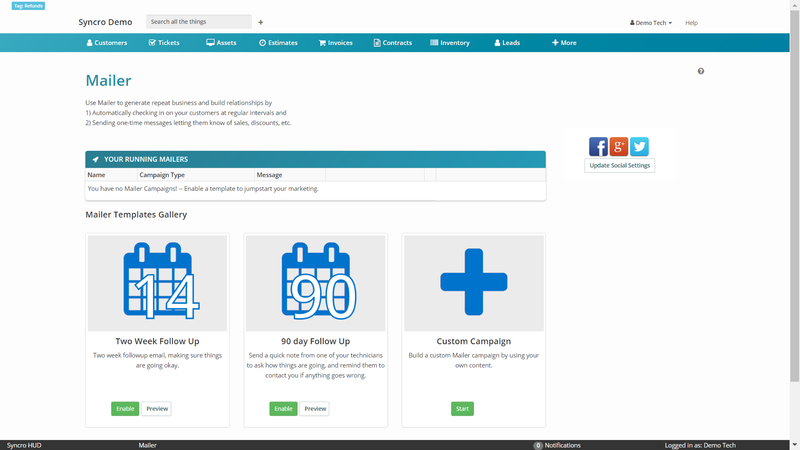 With built-in marketing tools, lead generator widgets, and powerful reporting, it will be easier than ever to generate repeat and new business. Data points do nothing. 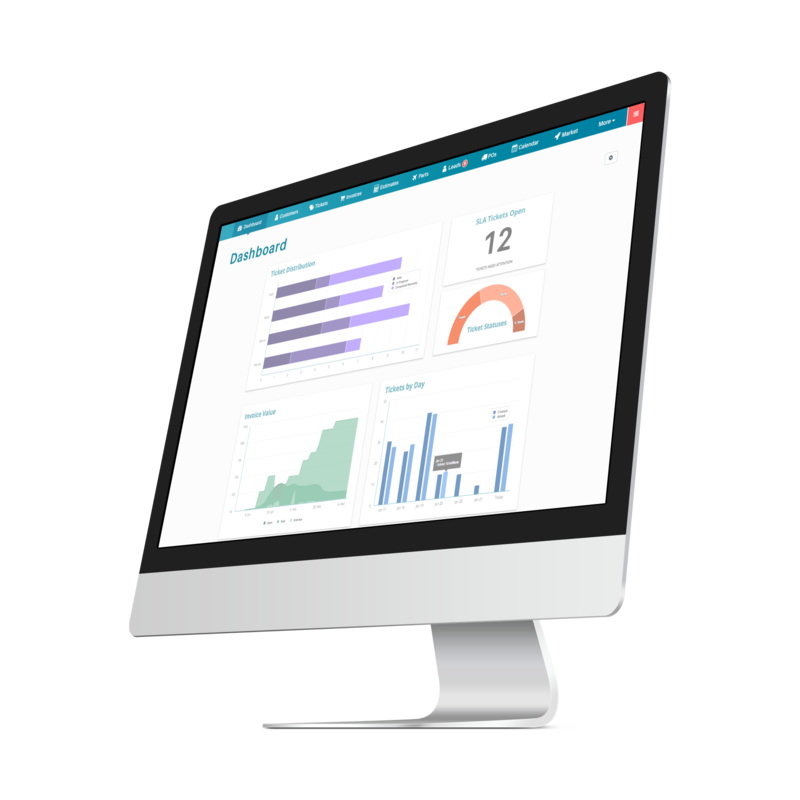 Turn data into actionable insight with intelligent built-in reporting and powerful Business Intelligence upgrades powered by DOMO. Syncro’s CRM capabilities allow you to service customer needs perfectly. 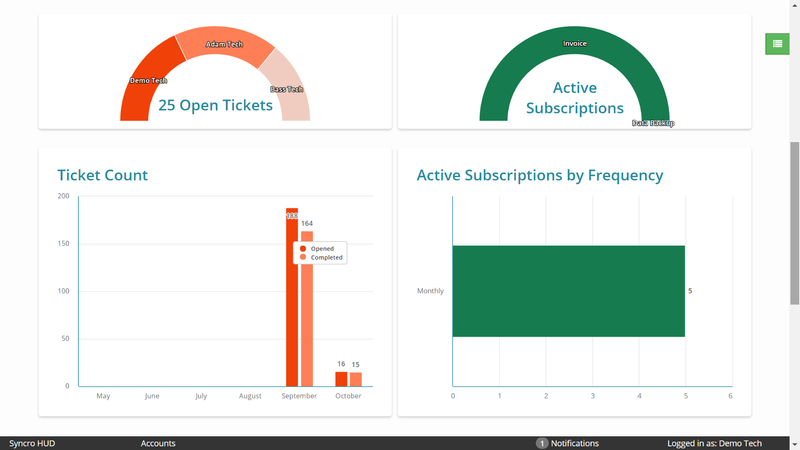 Integrated ticketing, monitoring, management, and billing all come together to provide you with a streamlined and effective platform for getting the job done and delighting your clients in the process. Streamline your billing cycle with a truly end-to-end payment workflow. 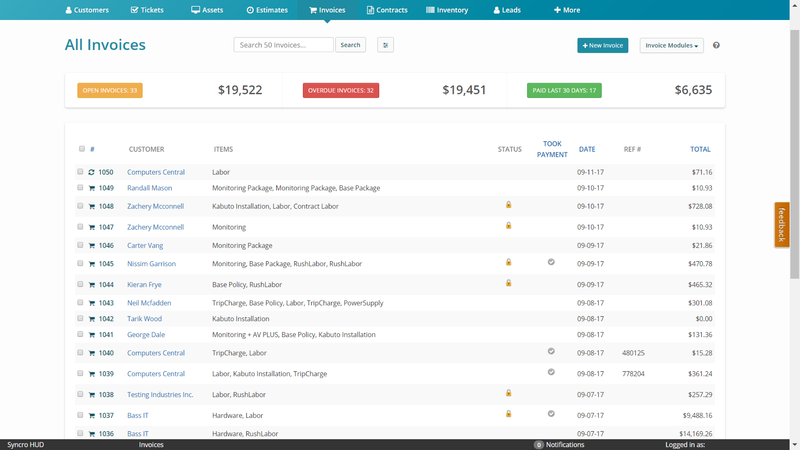 Turn estimates into invoices and accept payment online with the help of Recurring Invoices and Pre-paid Billing. Charge customers easily with automatic billing and online credit card payment. Integrate with best-in-class payment vendors such as Vantiv and more. Syncro’s ticketing system lets you go beyond just tending to client inquiries and enables you to stay organized and escalate key tickets properly. 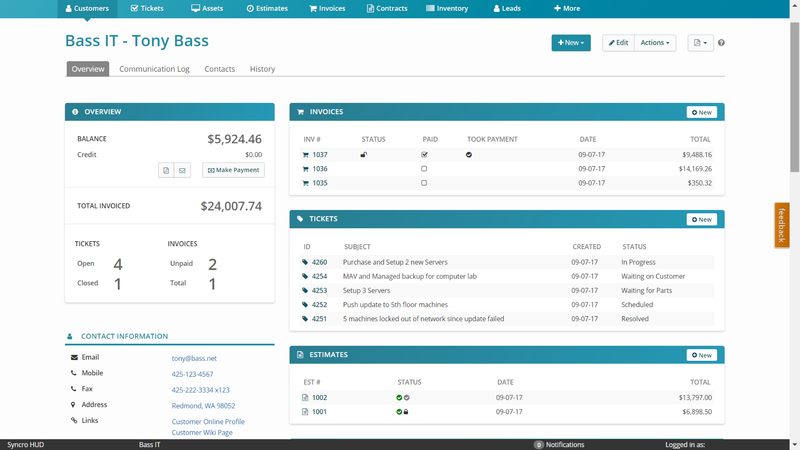 With Syncro, you can keep an open line of communication with your clients and perform invoicing and billing straight from within a ticket. Turn data points into actionable insights with best-in-class reporting designed specifically for MSPs. 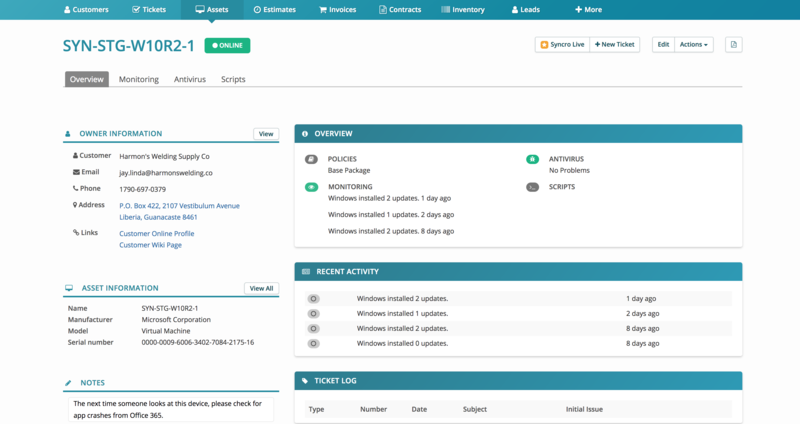 Monitor, track and analyze ROI by Service, Common Device Issues, Detected Threats, and more from a centralized MSP Dashboard along with detailed reports. Know the status of assets, set individual and bulk preferences for assets, track customer facing documentation, and set/manage customer passwords. Manage your device and parts supplies with ease. 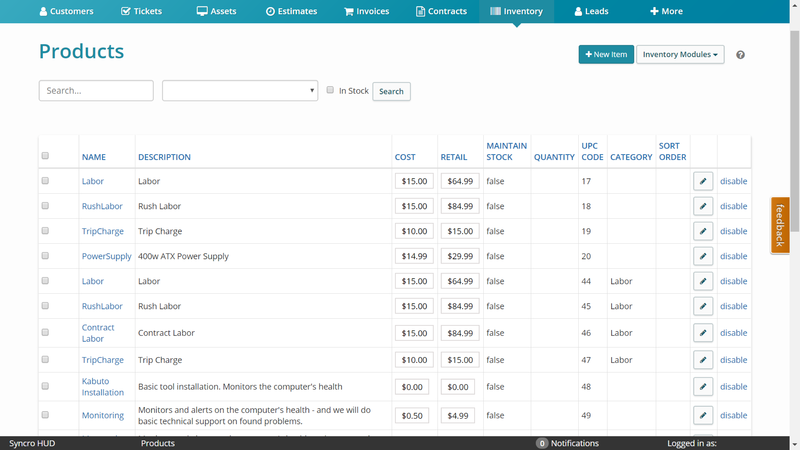 Automatically order out-of-stock inventory, assign inventory to customers for work orders, and utilize an integrated system to ensure your clients have what they need, when they need it. 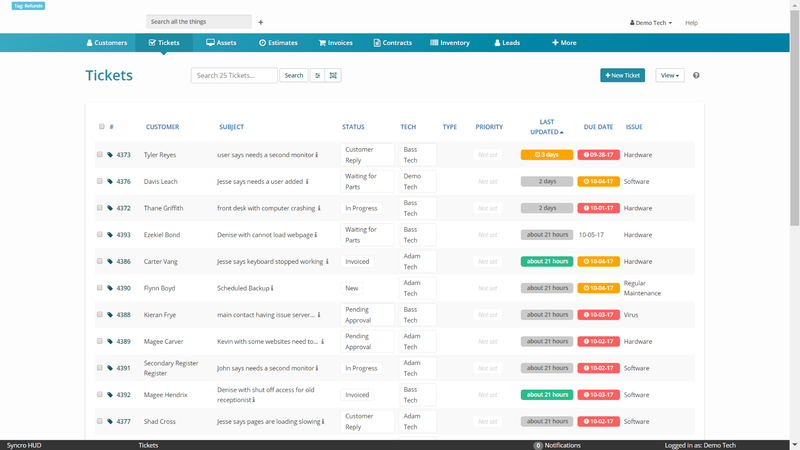 Syncro includes sales workflow tools powered by integrated estimates, invoices and contracts. Offer free consultations or capture contact requests online to generate new business. Build new relationships and generate repeat business with built-in marketing tools designed to automate client acquisition and retention marketing. You know the stuff you don’t want to do, but it keeps your business afloat? We’ve got you covered. From time-tracking to integrated Calendars and customizable templates, Syncro PSA automates back-office tasks. As your business evolves, so does the way you work. 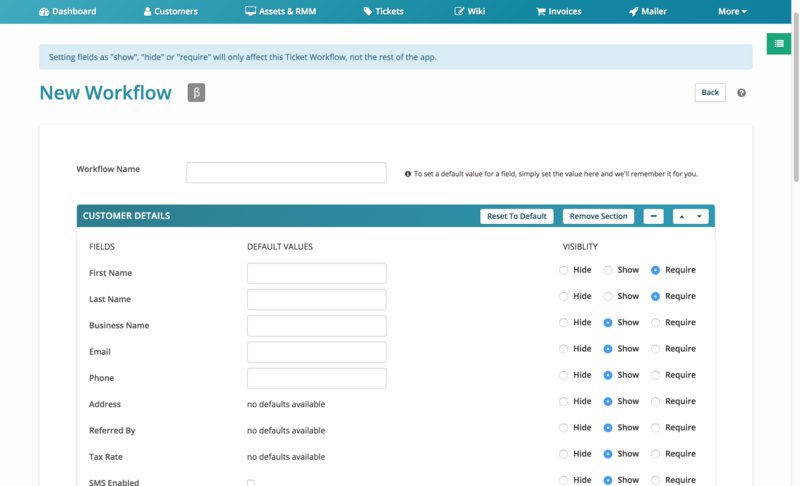 We’ve added Custom Ticket Flows to Syncro so you can customize your ticket processes to ensure you’re getting the information you want. You can Show, Hide or Require ticket info like Email, Phone #, Referred by, and much more.